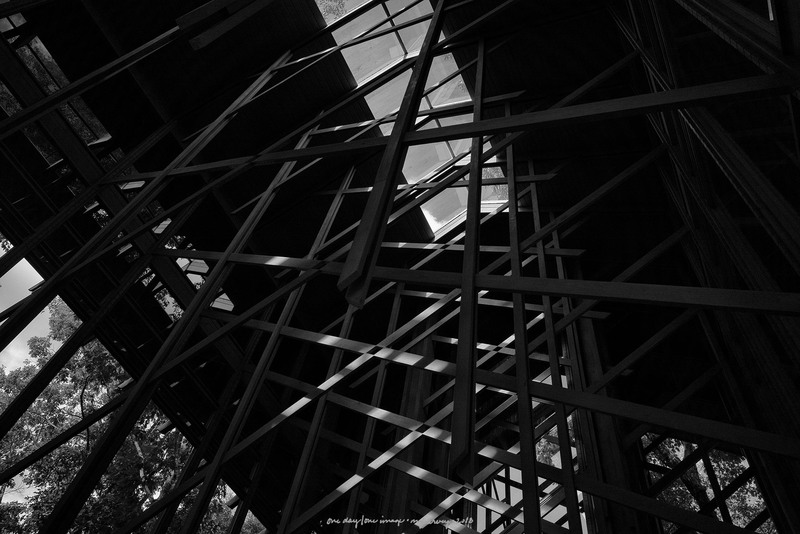 Fay Jones – Thorncrown’s architect – was a genius: look at how the structure mimics the tree branches, and how the light falls into the building the same way it falls on the forest floor. Posted on October 20, 2018, in Photography and tagged 365 photo project, architecture, black and white photography, church, Eureka Springs, Eureka Springs Arkansas, Fay Jones, landmark architecture, learning to see, Leica, melinda green harvey, monochrome, one day one image, photo a day, photography, postaday, road trip, Thorncrown Chapel, thoughtful seeing, travel photography. Bookmark the permalink. 2 Comments. Wish I could go there thanks to your series.